David Lynch's Dune, though unsuccessful in theaters, has gained a more positive reputation over the years for its spectacular visuals and memorable one-liners. But Denis Villeneuve, directing a new movie of Frank Herbert's SF classic, says he'll be taking pains not to let it influence his own vision. This is certainly for the best. Lynch's Dune would have been more thoroughly forgotten but for a series of unambiguously excellent 1990s video games which were fastidiously imitative of his vision. Movies have some power to fix how people see a book, but media derived from movies has an uncanny power to set it in stone, shunting the source material a degree of separation away. I think those games are a big part of why younger Gen-Xers and Millenials appreciate Lynch's Dune, which is a bad film. The blind spots of the 1982 movie's staging also correspond to things from the book that are most relevant and interesting now. Villeneuve won't be making the Fremen european, for example, and he sure as Dickens won't be arming them with "weirding modules." I hope the new one looks like the John Schoenherr art Herbert was fond of. Minimalist where Lynch is maximal, yet similarly evocative of febrile, calculated weirdness. 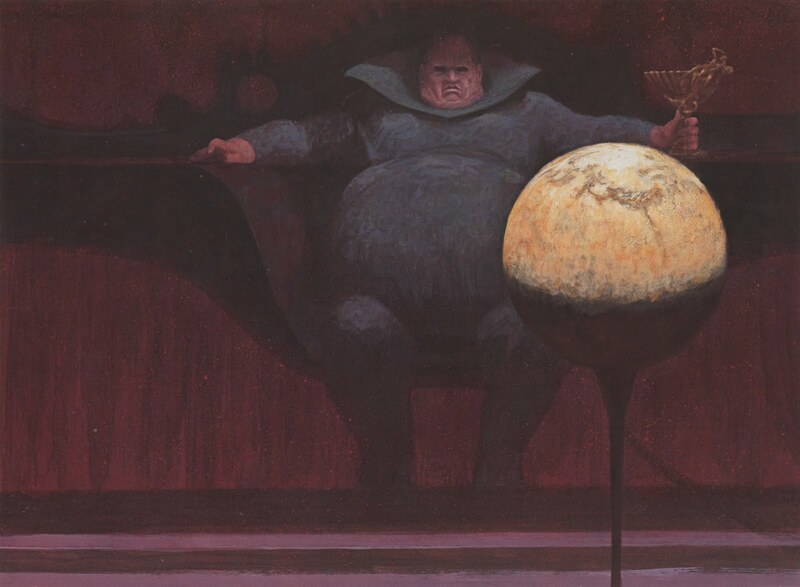 Schoenherr's Vladimir Harkonnen is embedded in this post.